Our partner organizations are also interested in helping others and we share our food and information about local needs with them. Seeds of Hope supports both the Wildwood Soup Kitchen and the Wildwood Food Pantry. All general donations go 100% to the Kitchen and Pantry. There are no checking or savings accounts. There are no salaries. To raise funds and collect food, prearranged Congregation-hosted concerts take place each year over a 2-1/2 week period about six weeks before Easter. All food collected by Seeds of Hope-Wildwood is weighed in at the Wildwood Food Pantry and shared with the Wildwood Soup Kitchen. All checks and cash are received through the Wildwood Soup Kitchen, and half of the total amount is given to the Wildwood Food Pantry. The food pantry is a joint Outreach Ministry between New Covenant United Methodist Church in The Villages, and the Wildwood United Methodist Church. There has been a faith based pantry operation in Wildwood for over 25 years. The Wildwood Food Pantry moved to its current home at Wildwood United Methodist Church in May, 2005. The Wildwood Soup Kitchen and the Wildwood Food Pantry frequently share food donation supplies to meet the needs of the community and surrounding area. The church doorstep is a frequent destination for people in desperate need. But most churches cannot fully meet the needs of every homeless family, single mom or hungry child who asks them for help. Love INC enables churches and ministries in a community to pool their resources and outreach services so that those in need are not turned away. 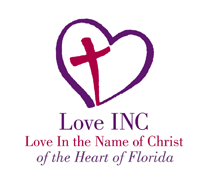 Love INC is a frequent referral for the homeless and others in need that visit the Wildwood Soup Kitchen. The center has residences for men, women, and children. The men's residence serves up to 36 men who need help with drug and alcohol addiction, emotional issues and other life skills. The program is five months long and combines intensive Bible study and life skills classes with one-on-one counseling and mentorship from dozens of volunteers. The Women's Care Center focuses on substance abuse and emotional and spiritual issues. The Women's Care Center can accommodate up to 16 people at a time. 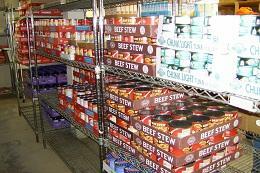 The Wildwood Soup Kitchen provides donated food to the center for use in cooking meals for the men and women residents. House of Hope in Wildwood, FL is a private company, men's addiction rehab facility, categorized under Rehabilitation Center, Residential: Health Care Incidental. It was established in 1984 and incorporated in Florida.